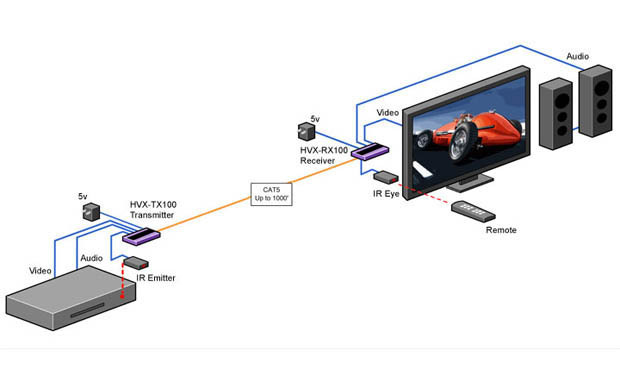 SmartAVI's HDC-VX extends composite video, stereo audio, and IR control signals up to 1000 feet away via a single CAT5 twisted-pair (UTP) cable. 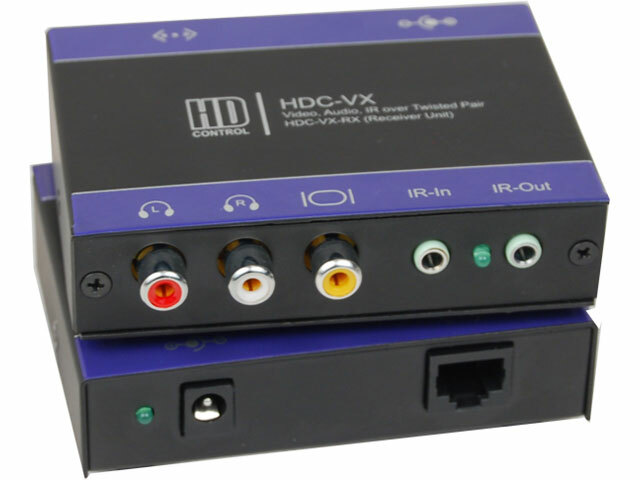 Affordable & Reliable AV Extension The HDC-VX offers cost-efficient, high-quality signal extension with popular UTP CAT5 cabling. UTP twisted-pair CAT5 cables are even more reliable than standard single-cord extension chords, designed for high-ground loop immunity from atmospheric interference that otherwise interrupts signal transmission. Better yet, UTP CAT5 extension is amongst the most affordable ways to boost AV signals on the market, so cost-conscious users will always be pleased! A Great Fit in Many Environments An ideal AV extender in innumerable applications, the HDC-VX excels in retail spaces, office buildings, schools, transportation hubs, and more! 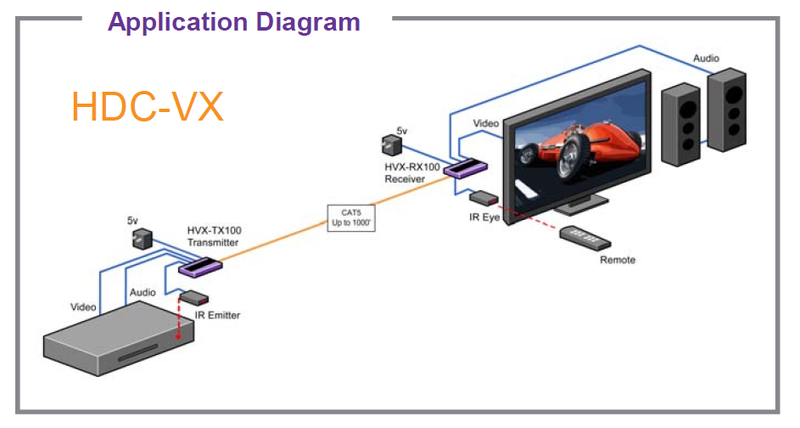 The HDC-VX is outfitted with convenient IR control signal extension as well, perfect for sending commands to connected AV devices, such as volume adjustment and switching between input channels. Hotels, Cable TV remote control, Control rooms, Remote On-Digital set-top control, Sky box control extension, Dealer rooms, Point of Sale, Remote VCR control, Home use. Data Broadcasting Data such as news, stock prices, sports results, and flight information can be broadcast in real time to various monitors and/or speakers. Learning and Training HDC-VX can be used in educational presentations to multiple locations, in schools and in other training facilities.